Deb has been with MCH since 2014, shortly after moving here from northern Virginia. She has always loved cats and has shared her home with over 20 cats in her lifetime. 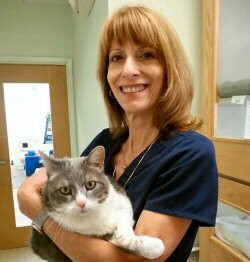 Deb’s prior career was in a different industry, but she volunteered with cat rescue for over 10 years and always desired to work in an animal hospital with cats. Deb is grateful to be able to witness the love and bond that humans share with these fascinating creatures. She is passionate about helping our clients and addressing their needs and concerns. Deb is married with three adult daughters. While she is not at the hospital, Deb enjoys spending time with family, friends, and her two cats (adopted from Morrisville Cat Hospital) and three dogs. She also enjoys walking, yoga, traveling, doing new things, and volunteering at Rex Hospital. Jennifer joined MCH’s team in October 2006. Starting in high school, Jennifer gained nearly 5 years of experience in the veterinary field as a Kennel Caretaker and Veterinary Receptionist. She spent almost 2 years away from MCH to explore other interests, but was happy to return part-time in 2013. Jennifer is married with one son, Chance, who was born January 2014. In her free time, Jennifer enjoys painting, reading, cooking and spending time with her family. Gabby joined MCH’s team in August 2016. When she is not working part-time you can find her pursuing her degree in Agriculture Business Management with a minor in Animal Science at North Carolina State University. She has been passionate about all animals since a young age. Before coming to the veterinary field she worked as a kennel caretaker for cats and dogs. In her free time she enjoys cooking, doing yoga, and spending time with her animals at home including two cats, a dog, and two horses. Kylie joined the MCH team in April of 2016. 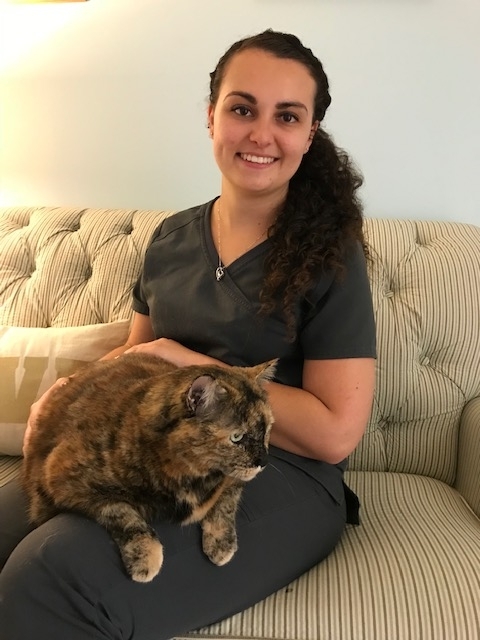 Immediately after earning a Bachelor’s degree from North Carolina State University in 2012, she entered the veterinary field working in a cat-only practice for nearly three years. She believes cats are the most fun animals with which to work. At home she has two cats of her own along with an entourage of other animals to keep them company. She spends many weekends vending at conventions along the East coast selling handcrafted products. In her free time she paints and enjoys time in nature.